Posted by Kerri Demski on Sunday, June 10th, 2012 at 12:04pm. Although the real estate market is slowing down in terms of sales, that's also pretty typical for May and June. Many areas of The North Shore and Vancouver continue to see multiple offers although they are less common compared to last month. On average, the price differential has tightened up too. 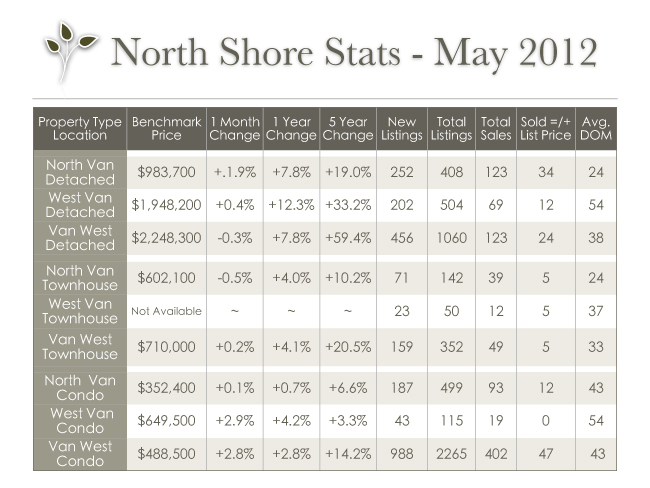 North Vancouver's detached sales are the strongest with 34 out of 123 homes being sold for list price or higher. The most popular communites are (still) Capilano Highlands, Lynn Valley and Upper Lonsdale. 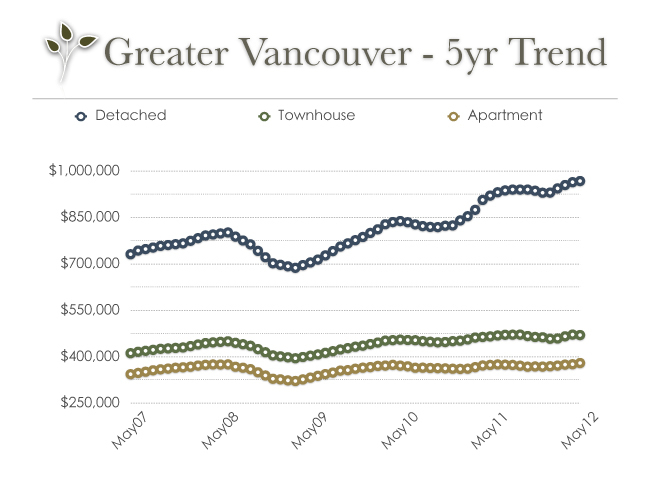 The strongest apartment condo market is in Vancouver West. There were 402 sales, up from last month's 361, and 47 of those units sold for list price or higher. University wins out for the hottest community in May, followed by Kits, Downtown, the West End and Fairview respectively. While gaging the muliple offer scene is always a great way to get a feel for the strength of any real estate market, it's also important to know what a property's actual value is. Viewing all comparable sold properties are a must, so please consult your Realtor before making an offer. *REBGV Editor's Note: Benchmark prices underwent a re-calculation this month in order to more accurately reflect trends measured by the MLS® Home Price Index. There were no changes to the calculation of index values.